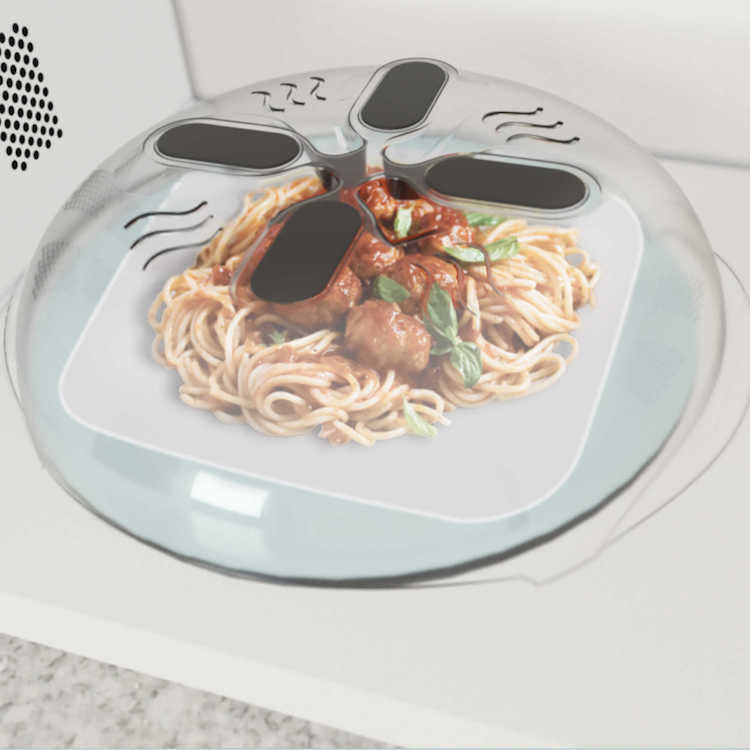 The Hover Cover is an innovative splatter guard that lets you cook food in the microwave without the mess. There’s 4 polymer magnets at the top of the cover allowing you to raise and attach the cover to the roof when it’s not in use. A built-in steam vent also helps the food heat evenly so you don’t have cold food on one side. 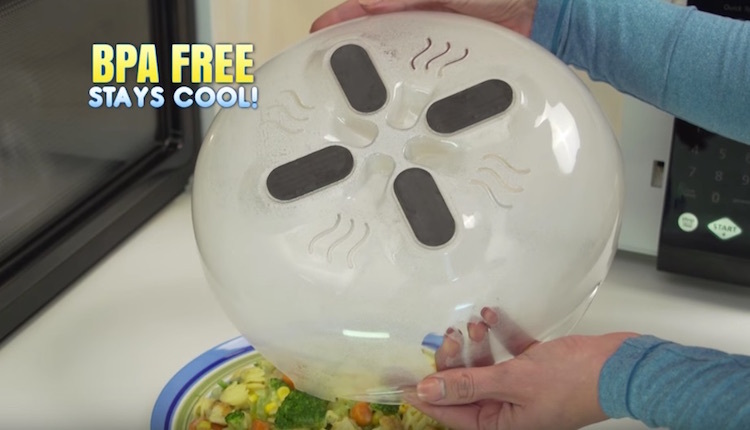 The Hover Cover splatter guard is made from polypropylene, is BPA-free and of course, is microwave-safe and dishwasher-safe. 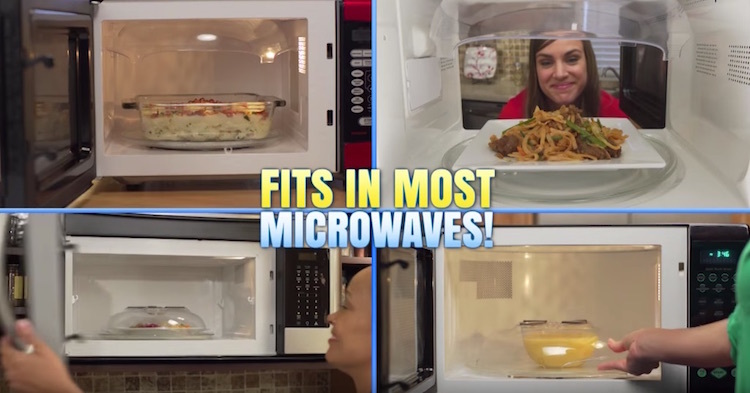 It fits in virtually all microwaves and measures 12.25″ x 11.25″ x 3.31″ in size. 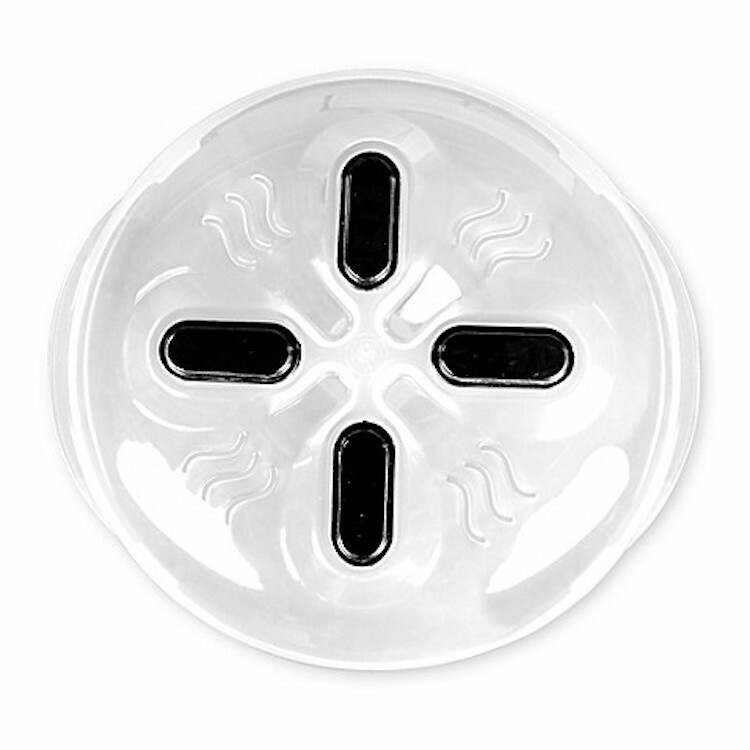 Whether it’s plates, dishes, bowls, or platters, the Hover Cover will work on all types of meals. 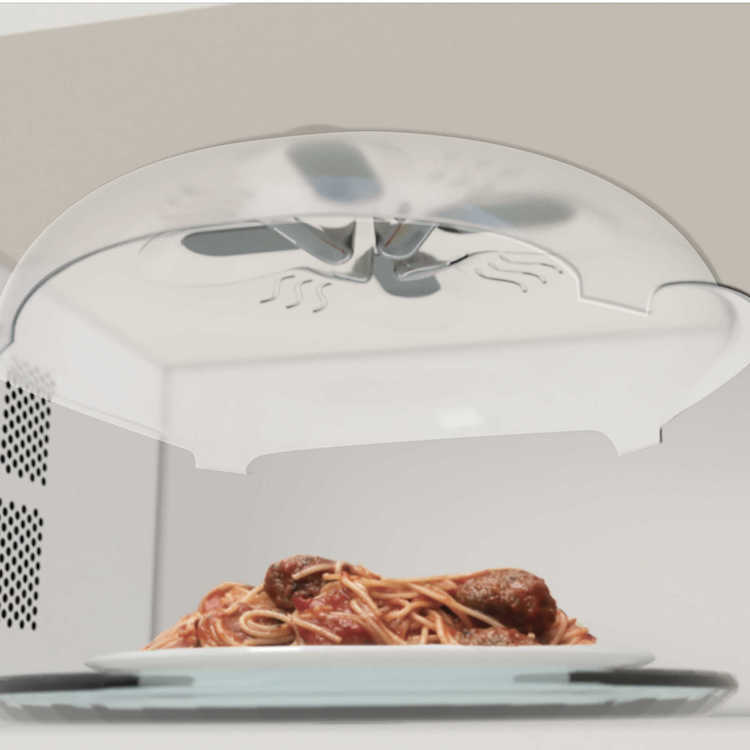 It’s great for on-the-go heating without the need for a soggy meal from using a plate or any other type of cover. Save time, hassle, and the mess using the innovative Hover Cover splatter guard. 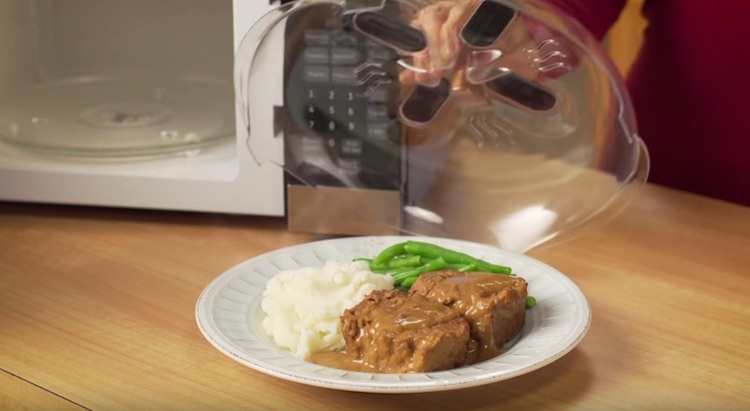 No more hard times cleaning the microwave after someone splashes their food in it.